Whistling (feedback) occurs when amplified sound returns to the microphone and is re-amplfied. This happens with all microphones. 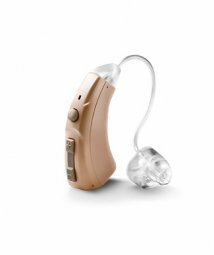 Most hearing aids (even ones costing thousands of dollars) whistle when not inserted properly into the ear canal. 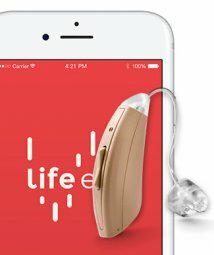 You can confirm that your hearing aid is working properly by removing the aid and covering the hole in the tubing/domes with your finger (the whistling should stop). Try pulling your ear up and back and reinserting ear piece into ear so it fits better (or try a different sized ear dome). Sometimes feedback may occur when you have a blockage of wax in the ear canal, a stiff eardrum (from a cold, for example) or any condition that causes sound to be reflected from the ear canal. In these cases, the fit may be fine, and the feedback will disappear when the condition is corrected. Check for any cracks in the tubing or the earhook. 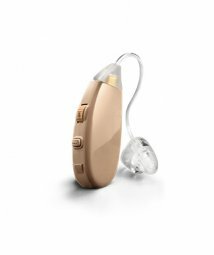 For optimal performance, the hearing aid tubing and domes should be replaced every 3-6 months. Lower the volume if it is set too high. Clean any debris or ear wax that may be blocking the tubing or ear dome. If you cannot obtain a good fit, consider getting a custom mold made to your ear. Make sure the battery is inserted correctly. Make sure battery is fresh. If there is any doubt, try a new one (where you have to remove the sticky flap off the battery surface, let new battery stand for 1 full minute before inserting into aid). Make sure volume control is on (volume dial should be set above the number 1). Check the tubing for any signs of moisture, debris, or ear wax blockages. Check the battery contacts to be sure they are not corroded. 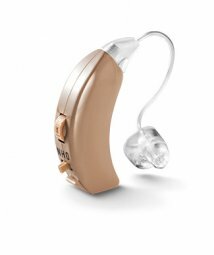 Reposition the hearing aid tubing/dome in your ear canal. Flick on/off switch back and forth, in case dust or lint has collected in the controls. If the hearing aid was exposed to a humid environment, sweat or other moisture may be clogging the aid and distorting sounds. Consider using a hearing aid dehumidifier overnight and try again. Replace the battery with a fresh one. Check the tubing for debris or ear wax or for signs of wear. Replace the tubing if it appears stiff, bent, cracked, or frayed.